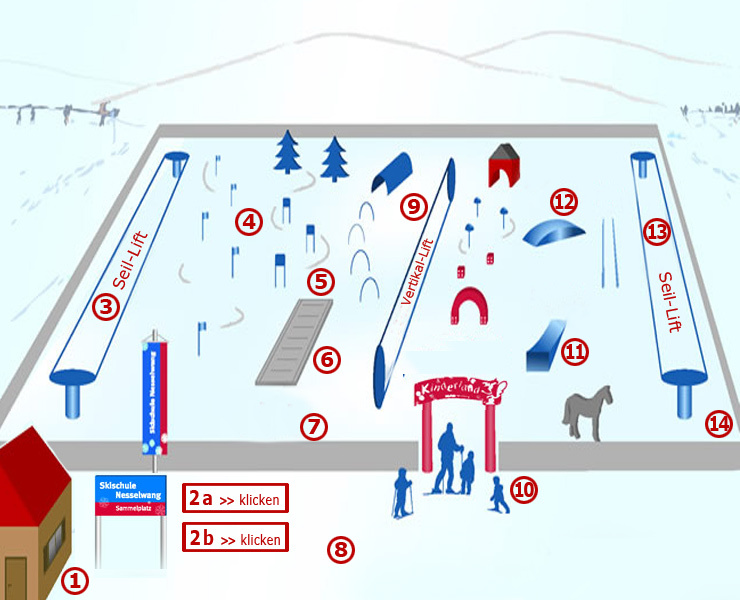 One of the main attractions of the Ski school is the generously equipped Ski Kinderland. 3 rope lifts and a magic carpet (conveyor belt) allow ascent of the perfectly situated fenced off area. Downhill involves waves, bumps, tunnels, slaloms, seesaws and many other aids to learning. The integrated Easy Fun Park (Boxes, Rainbows, etc.) invite snowboarders and skiers to try further tricks.